A few weeks ago Little M and I took a trip into London with our friends Sarah and Piglet from Boo Roo and Tigger Too. The lovely people at Asda invited us to have breakfast with them and take a look at the new Little Angels range. Being a first time parent, I’ve completely fallen into the trap of thinking that the only type of nappies I should be using are that premium brand (you know, the one that rhymes with hampers?). Don’t get me wrong, these nappies have served us very well and I’ve been happy with them, but we can only really afford to buy them when they’re on offer. We tried a couple of other brands when Little M was tiny in an attempt to save money, but none really seemed quite as a good, so we reverted back to what we knew. We’ve never tried Asda Little Angels before though. I was really interested to give them a go, especially as they have now relaunched their nappies. 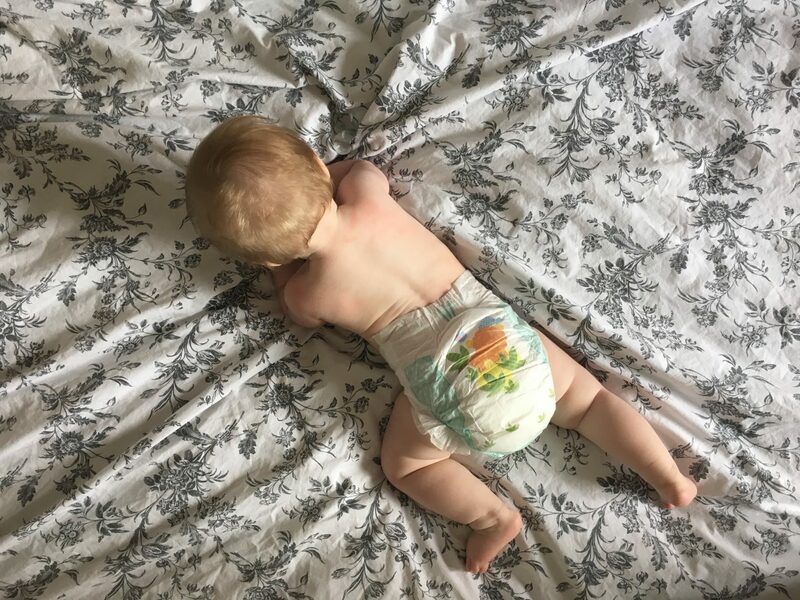 The new Comfort and Protect nappy has clever features like an elasticated back panel (Little Angels are the only brand to have this feature all the way through the range, starting at newborn sizes) and they feel super soft, too. The jumbo pack of Little Angels nappies that Asda gave us feels like it’s lasted forever. They’re only £5 for a jumbo pack, too, until 1st May when they’ll go to their regular price of £5.50. Still an absolute bargain! I’ve actually been really impressed with Asda Little Angels nappies. To be honest I think I was a bit of a nappy snob before. They’ve been great though and I wouldn’t hesitate to buy them again. Asda also kindly sent us some swim nappies to try. We went to Centre Parcs on Wednesday to visit my brother and Little M’s cousins who are holidaying there. Little M had her first ever swim! After a lot of faffing over what to pack, it turns out that babies really don’t need that much stuff in order to go swimming. I must admit, I do wish I’d taken Little M swimming sooner when she was much smaller. Unfortunately, I think my own hang ups over my post-baby body have been stopping me. I needed this opportunity to just force me into it! Little Angels swim nappies are so easy to use – they just pull up like pants. I’ve never used any other brand of swim nappy before but these seemed completely adequate under a neoprene swim nappy. Little M wasn’t too sure about the water but she seemed perfectly comfortable in her swimming togs! I really must take her swimming more often so that she gets used to being in the water and it’s a more enjoyable experience for her. I’ll definitely be taking Little Angels nappies and swim nappies with me when I do. Disclosure: We were sent Asda Little Angels nappies and swim nappies free of charge. However, all opinions are my own. "Feeding Baby ‘on the go’ with Summer Infant"
I used to love Asdas little angels when I live in the UK! After all, nappies are for holding poo so they shouldn’t have to cost the earth! I’ve never used any other brand of swim nappy so I have nothing to compare them to, but they seemed fine! 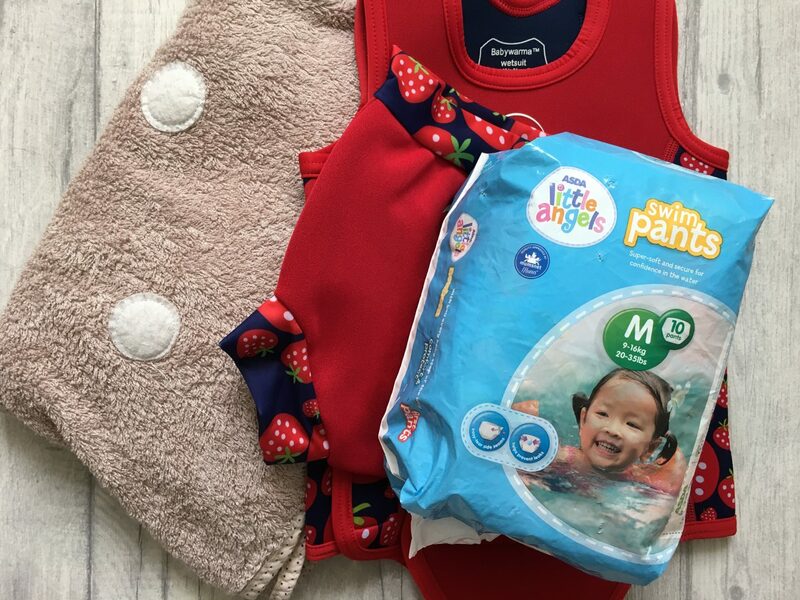 These swim nappies from ASDA sound fab! It’s really handy when they pull up like that for getting on & off after the pool when they are all wet. Their new comfort & protect nappy sounds really good too! I always used the big brands with my first, but with my other Children I use the supermarket brands and to be honest I think that I prefer them! !